The woman's hands are pale which happened to me when I used to fake tan from frequently washing my hands. That baby is going to get his face stained. 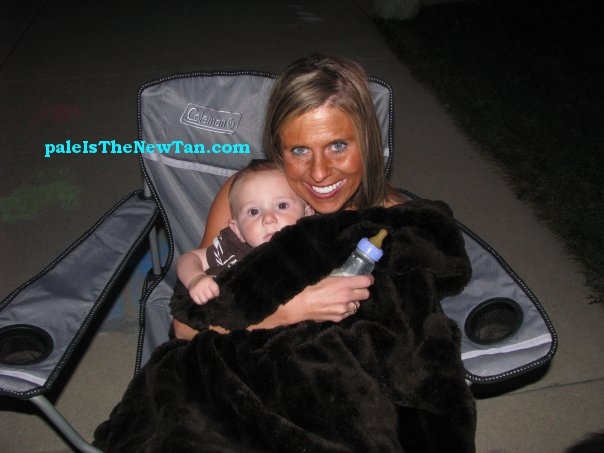 Yet another bodybuilding tan fail post!